WORSHIP at Northern Lights begins by gatherning together on our Lord's day each week to offer praises to HIM. 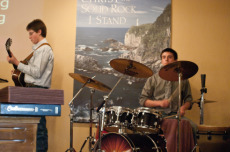 We have musical instruments, a praise band, and sound technicians who assist believers in offering praise. This is our LEVITICAL ministry. 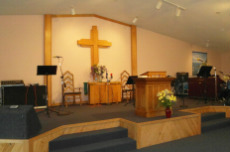 We also have a time of studying God's word together in teaching, preaching, and testimonies that is led by our pastor. This is our EDUCATIONAL ministry. We encourage fellowship, praying together and building relationships amongst members of God's family. This is our RELATIONAL ministry. 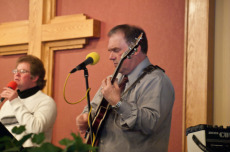 Discovering gifts and offering opportunities to serve in various areas of church ministry such as music, missions, teaching, ushering, and so forth are also expressions of our worship. This is our ACTIONAL ministry. Reaching out to people with the love of Christ in our local community, state, nation and world is the expression of our thanks to God for touching our souls with the gospel. This is our MISSIONAL ministry. As you can see, WORSHIP begins with praise, continues by studying God's Word and is fulfilled in reaching out to others in the name of our Lord! 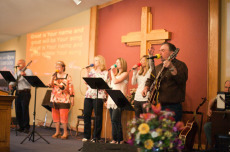 Our desire is to worship our Father in spirit and truth (John 4:24).